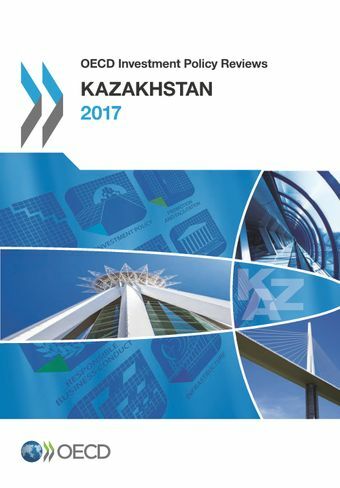 This review, which was prepared in response to Kazakhstan's 2012 request to adhere to the Declaration on International Investment and Multinational Enterprises (OECD Declaration), analyses the general framework for investment as well as most recent reforms, and shows where further efforts are necessary. It assesses Kazakhstan’s ability to comply with the principles of openness, transparency and non-discrimination and its policy convergence with the OECD Declaration, including responsible business conduct practices. Capitalising on the OECD Policy Framework for Investment, this review studies other policy areas that are of key relevance to investment such as SME policy, infrastructure development, trade policy as well as anti-corruption efforts. Since the first review of Kazakhstan, in 2012, the authorities have made strides in opening the country to international investment and in improving the policy framework for investment as part of their efforts to diversify the economy to avoid continued overreliance on oil. Additional policy measures are nevertheless required to create a stimulating environment for investment if the government wants to fulfil its goal of economic diversification and sustainable development. OECD Investment Policy Reviews present an overview of investment trends and policies in the countries reviewed. This can include investment policy, investment promotion and facilitation, competition, trade, taxation, corporate governance, finance, infrastructure, developing human resources, policies to promote responsible business conduct, investment in support of green growth, and broader issues of public governance. The Investment Policy Review was officially launched in Astana during the Astana Economic Forum in the “Building Institutional Environment for Sustainable Growth” session on 15 June 2017 in the presence of Mr. Yerlan Khairov, Vice Minister for Investments and Development of the Republic of Kazakhstan.